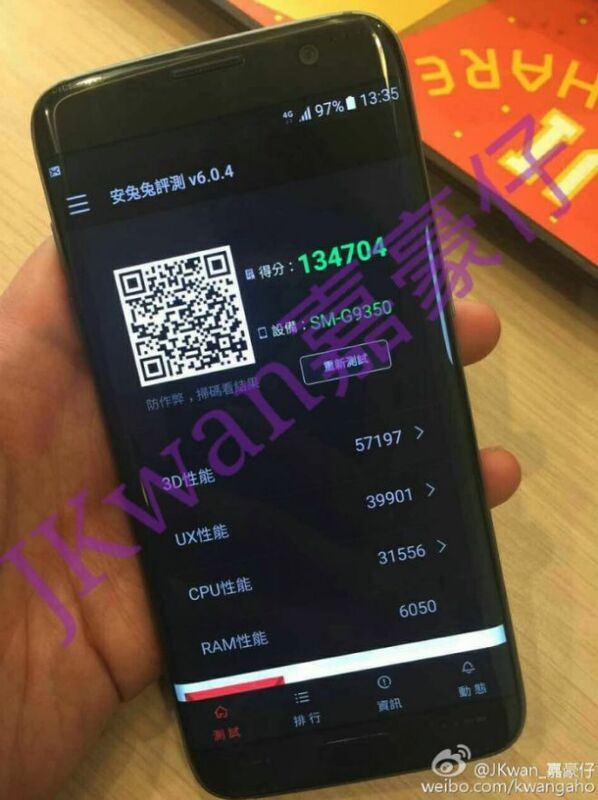 Home Mobile Samsung Galaxy S7, the first pics surprisingly appeared on the web! 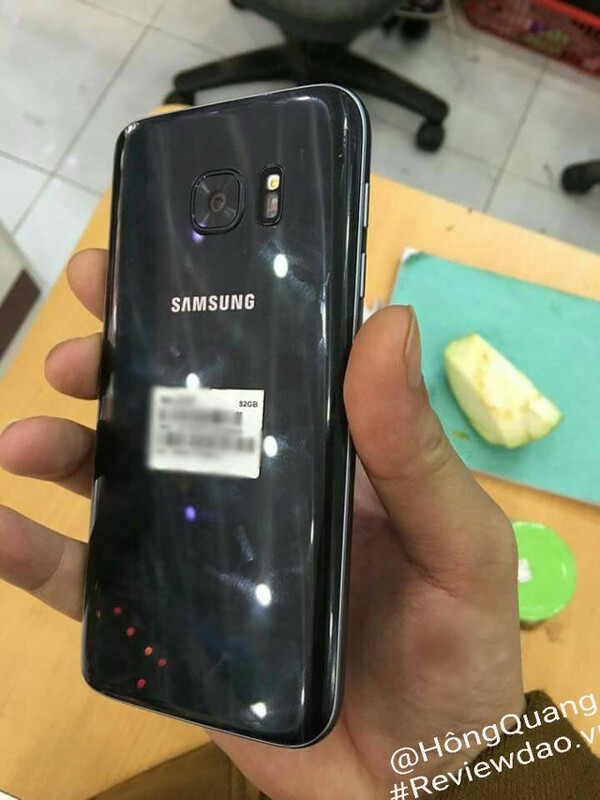 Samsung Galaxy S7, the first pics surprisingly appeared on the web! Several users are waiting patiently the Samsung Galaxy S7, following day by day all news that concern this phone and the features that it will carry on. We have talked in more details about this Smartphone on our latest article and we summarized all the specifictions about The Next Big Thing. The Next Big Galaxy device made its first appearance on the web few hours ago and probably this will be the final model, destined to the trade. But not only the phone showed on these pics, it is also appeared with a benchmark score printed on its display. These tests are done with Antutu Benchmark. The S7 reached an incredible position (the first maybe) with this test, 134’704 points are a lot but actually we don’t know what model is this (Exynos or Snapdragon 820). All considered, it’s interesting to see how this phone is changed from previous models. It seems like a Samsung Galaxy S3 built with premium materials. The design is effectively the most incredible thing about this phone. The glass is finished with rounded borders and a form factor that it’s not flat like the S6. What do you think about the all new Samsung Galaxy S7?